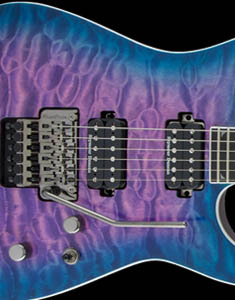 When Broderick first came to Jackson® to design his own signature model, he had very exacting demands in mind for his take on the venerable Soloist™. Finding a more-than-willing partner up for the challenge, Broderick coined the longstanding high-performance guitar giant as the “company that could.” The results of the collaboration are sophisticated riffing machines loaded with the premium features needed to keep up with the most demanding music produced today. 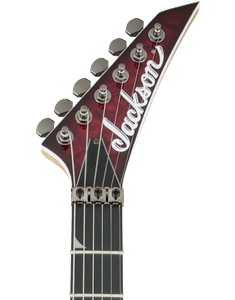 The Jackson Pro Series Signature Chris Broderick Soloist HT7 is a 25.5” scale, 7- string guitar featuring a resonant mahogany body with arched top and through-body one-piece maple neck with scarf joint and graphite reinforcement for rock-solid sustain and stability. Its 12”-radius bound laurel fingerboard with 24 jumbo frets is ideal for all playing styles, comfortable for both low riffing and soaring leads. Contemporary guitarists require tonal versatility and punchy clarity to keep pace with the rapid twists and turns of today’s metal. A pair of Broderick-designed custom DiMarzio® direct mount humbucking neck and bridge pickups punch well above their weight, cranking out monstrous tone that will pin your ears back. The volume control conceals a push/pull switch for coil- splitting, unlocking even more tonal options while the tone control’s push/pull switch enables the tone circuit. A mini-toggle kill switch allows for the stuttering effects that have become integral in modern metal. 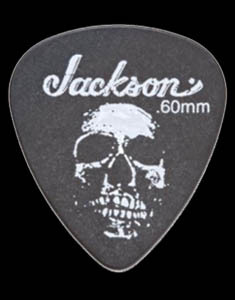 The Jackson Single-String hardtail bridge creates perfect intonation along the entire length of the neck to ensure complex chords ring true, working in harmony with the sealed die-cast locking machines for tuning stability that can withstand a good pick-hand thrashing without shifting. 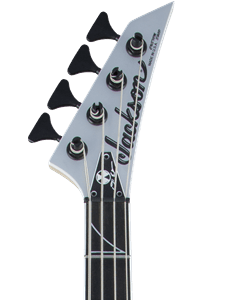 This brutal beast is loaded with Jackson attitude in a Metallic Black or Metallic Blue finish complete with a matching reverse Jackson 3x4 AT-1 headstock, black hardware and Dunlop® strap locks.